It’s a natural—great food, as much attention as you need, plenty of diversions, and privacy, privacy, and more privacy. It’s just you, 29 or so other guests, the attentive staff, and a cast of thousands—thousands of flamingos and masked boobies, sea turtles and piping frogs, geckos and ghost crabs. On Guana, humans are more of a rarity than the elusive mango hummingbird, since the entire island is a nature reserve with just one resort. The only traffic jams here occur when you pause on a nature walk to let an iguana lumber out of your path. "Natural habitat" is what this laid-back-yet-sybaritic resort is all about. Its secluded stone cottages are done in relaxed plantation style with rattan furniture, and each has a private ocean-view terrace (watch out for the "neighbors"—cheeky black-faced grassquits and pearly-eyed thrashers eager to share your breakfast). Diversions here are as natural as the surroundings, chief among them lolling in a hammock with a book or sunning on one of Guana’s seven empty beaches with your castaway picnic waiting. Got a little energy to burn? Make like the locals, snorkeling and diving the offshore reefs, skimming the waves in a sailboat or windsurfer. 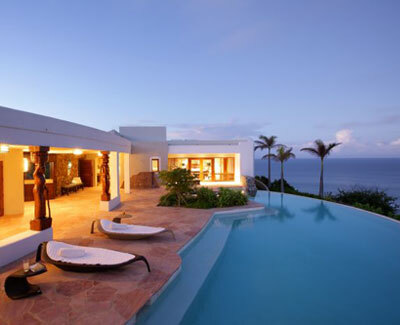 Or you could venture out on a deep-sea fishing excursion or a day-trip to nearby Tortola. But best of all is lingering with other Guana guests on the main house veranda for sunset cocktails and a glimpse of the green flash, followed by feasting on delicious seafood and island-grown produce, then retiring to your cottage under a sky overflowing with stars. Start gathering your friends and family—did we mention you can rent the whole island?